Everyone needs to take some downtime every now and then. And what better way to do this than to spoil yourself? Often looking after YOU is one of the first things that you forget when you are stressed. While we may still get up, get dressed and show up, we tend to forget to enjoy the luxuries and the little things. So it is a real treat to just take a minute and spoil yourself. 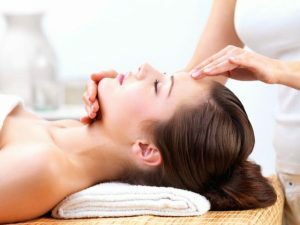 There is nothing more relaxing than a trip to the spa for a massage and a facial, but it doesn’t need to be as complicated as that. Lighting a candle and soaking in a bubble bath can be equally relaxing and you don’t have to go anywhere. Pop on some background music, have a glass of wine or a cup of tea and just relax. Even a DIY hand or foot massage can calm and relax you – just sit in a quiet place and gently rub your hand or feet. Something as simple as brushing your teeth or washing your face can release tension. As we most often do these things as we start out the day, doing them when you are stressed can trick your body into starting afresh. Also if you are able to have a nap, then do so. When our bodies are tired, stress tends to creep in much more easily. Even a short nap will help your body to reset. If you are not in a situation that you can have a bath or a nap, sometimes a simple trip to the bathroom can be enough to calm you down. Removing yourself from a stressful situation for a couple of minutes can make all the difference especially if you are feeling overwhelmed by people.